My creative mom is celebrating her first anniversary in business! 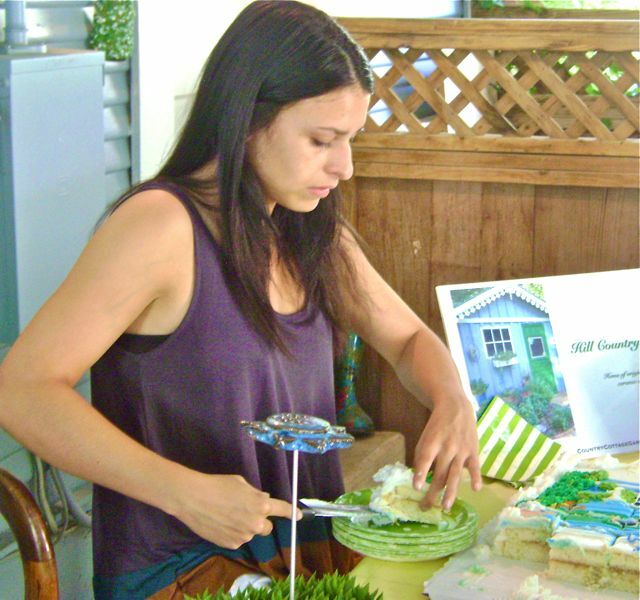 Thirty well wishers showed up at The Cottage to help Barb celebrate Hill Country Cottage Gardener’s first year anniversary. 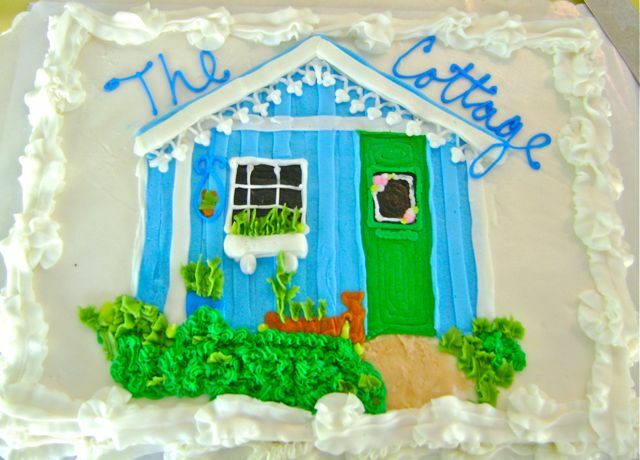 Didn’t the cake from Pennington’s in San Marcos depict the cottage beautifully? Claire Day, who works with Barb in the cottage, was the #1 hostess. 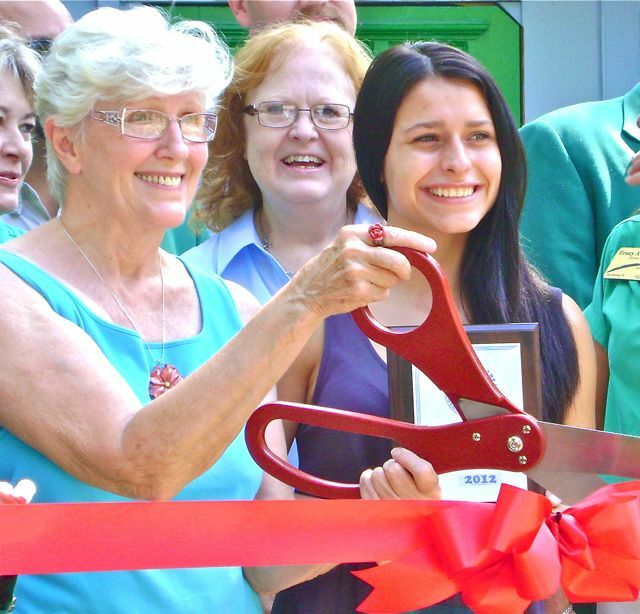 The Chamber of Commerce arranged for the ribbon cutting, which was great fun! 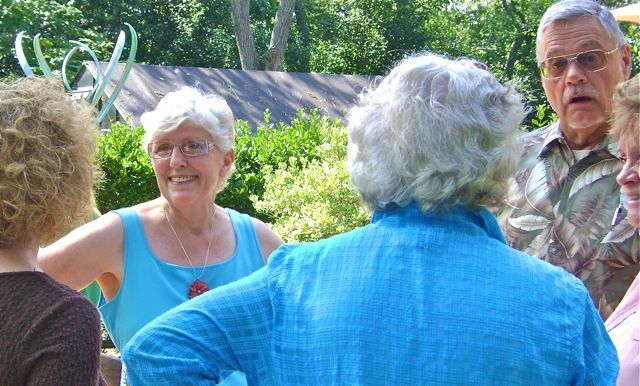 Folks chatted & browsed through the gardens, the cottage, and the greenhouse, where the artwork of three participants in an intermediate mosaic workshop was displayed. A Great Day! 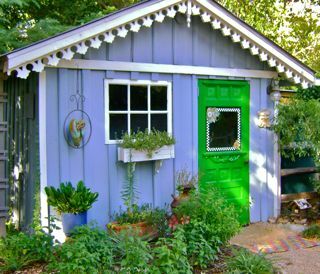 « Hill Country Cottage Gardener.